Growing marijuana outdoors can be as easy as growing tomatoes in your vegetable patch. In fact, cannabis is a great companion plant and can add a lot of value to your existing vegetable garden as well as your diet. 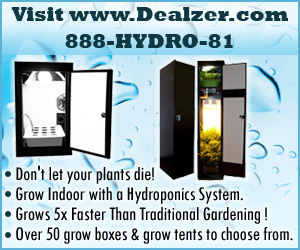 Below we are going to take a look at growing exceptional marijuana outdoors. 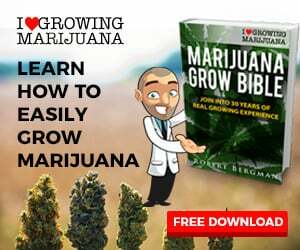 This article will cover the basics you need to arm yourself for your marijuana growing season and by the end, you will be harvesting some top-notch cannabis flowers. 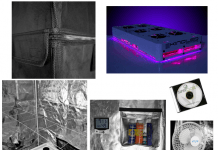 You can also learn how to grow marijuana indoors but it requires of course more equipment. The cannabis sativa life cycle from seed can take anything from 8 weeks to 20 weeks to harvesting, depending on your seeds and climate. Planting cannabis seeds should only be done during the spring seasons and the reasons for this is that cannabis, just like most other vegetables goes through stages of life such as seedling, vegetative and flowering state. All these stages can be sped up or slowed down, however, outdoors you generally have to leave it up to mother nature to work her magic. 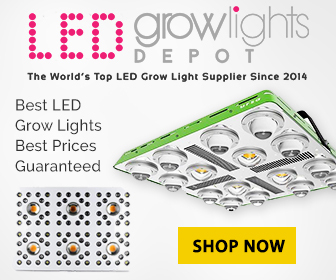 Growing the ultimate marijuana plants starts with a seed. 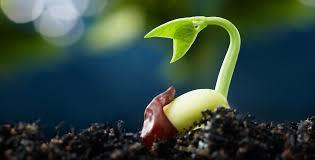 Once your seed has sprouted it will go through a seedling stage and then into a vigorous vegetative growth stage where the plant may increase in size from 2 foot to 10 foot in a matter of weeks. Once the vegetative state comes to end, usually as Autumn sets in you will notice small pistils growing the nodes of the plant. This is a sign of the cannabis flowers ( buds ) being produced and the growth increases during late autumn and winter. 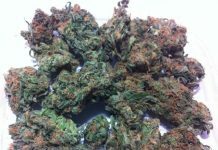 This is the infamous OG Kush: anyone jealous? An old proverb of farmers is “ you reap what you sow”. It’s always a good idea to invest in quality cannabis seeds as this will give you the assurance that your final product will be what its supposed to be. If it is your first grow and your budget is limited its probably a good idea to use some seed that you have collected from chronic cannabis. Marijuana seeds can be expensive and you don’t want to waste your money if you are not invested in growing to quality cannabis. Germinating your seeds is fairly straightforward. It can be done a number of ways, either put the seed in a moist paper towel and wait a couple days to see the tap root sprout or you can plant the seed directly in soil or a pot. This way will take a little longer but there is less stress on the fragile seedling and it will grow faster than the paper-towel method. If your cannabis seeds are good, the percentage of seeds germinating with success will be higher. What does cannabis need to grow? Water provides the cannabis plant with hydration and minerals. Clean, reliable and low parts per million ( ppm ) water is required when growing marijuana outdoors. Cannabis can be very thirsty in hot summer months. And its water requirements depend largely on your climate and the size of the cannabis plant. A basic rule of thumb is cannabis requires quality, uncontaminated soil with a pH of between 5.5 to 6.5. Cannabis tends to thrive in acidic soils, similar to tomatoes and roses. A high pH will block out many of the available nutrients available in the soil and you will end up with something called “nutrient lockout”. Growing mediums can either be soilless mediums such as coir, perlite, clay pellets in an outdoor hydroponic setup or you could use your standard garden soil with a couple additives. Garden soil may be depleted of nutrients so adding some enriched compost, river sand ( for aeration ) and a slow release nutrient is a great start for growing top quality cannabis. Cannabis thrives with good airflow. 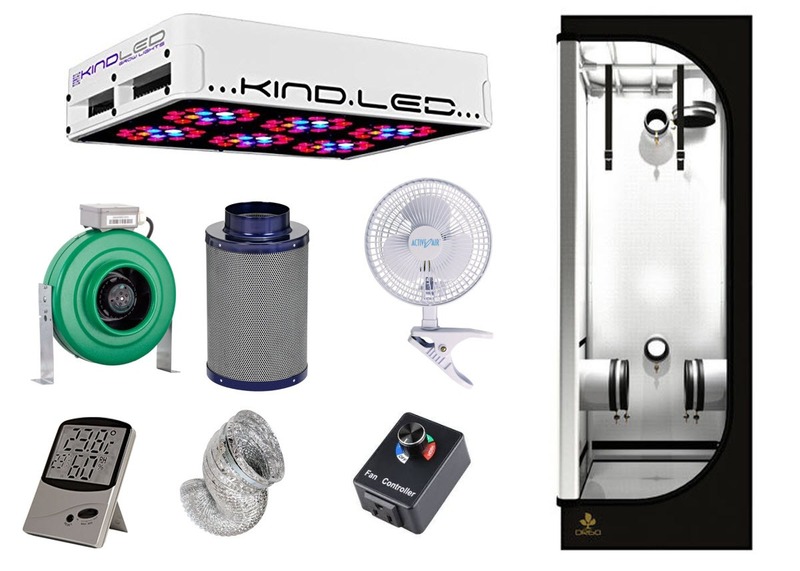 Good airflow also prevents disease and pests from infecting your plants. Don’t plant your cannabis near an air-conditioning unit that pumps out hot filtered air with many potentially toxic compounds. Cannabis can withstand high winds and actually enjoys swaying around in the wind as it makes the roots and stem dig deeper and grow stronger. During the plant’s life cycle it requires different proportions of nutrients. No nutrients are required during the germination stage as all the nutrients to push out the tap root are contained within the husk of the seed. 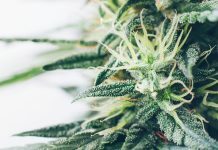 Nitrogen is one of the biggest factors during the vegetative stage of the plant’s growth and different varieties of cannabis will use different amounts of nitrogen during this period. A quality slow release fertilizer can save you a lot of work if you add it to your potting mix when you start. However, cannabis plants may require immediate nutrients each week during growth. 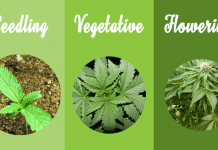 During the flowering phase of cannabis plant growth, your plant will require a different nutrient schedule, and the uptake of calcium and phosphorus is needed in greater volumes during this stage. Not much nitrogen is required during the flowering or blooming phase. One of the biggest factors affecting plant growth. 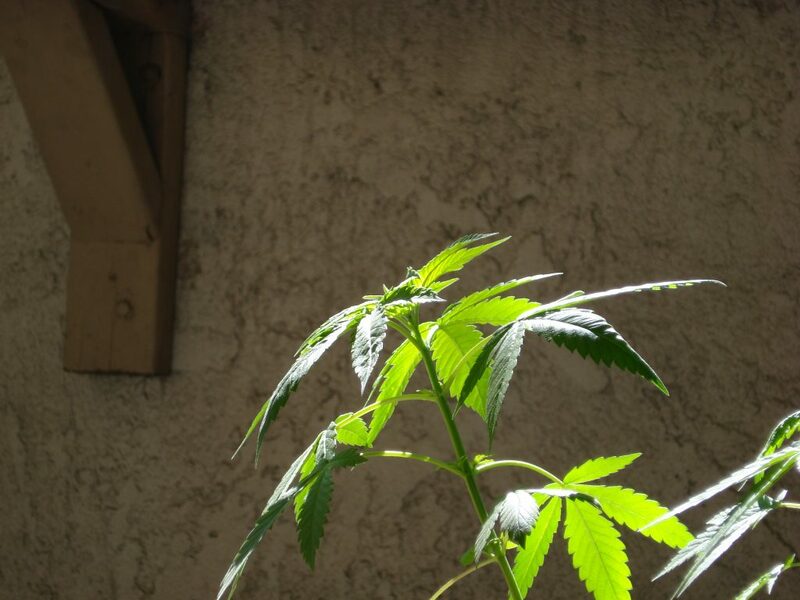 Cannabis can grow very well in shaded areas but loves full-sunlight. 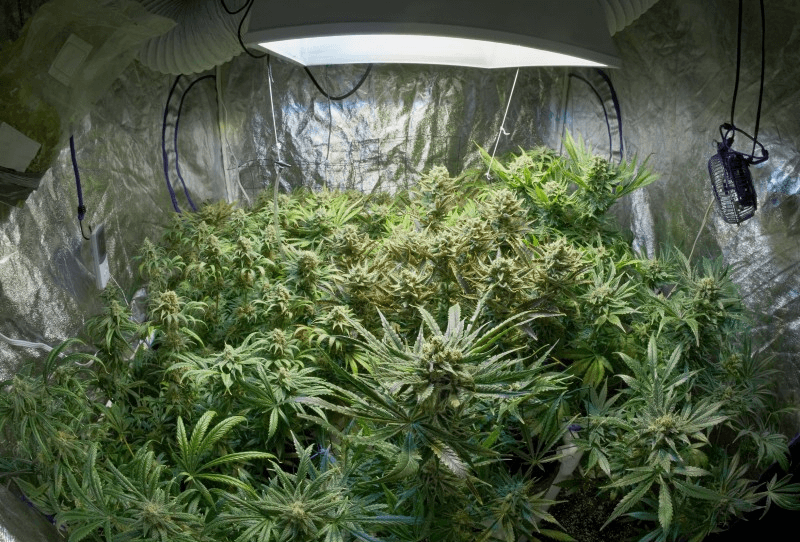 Sunlight gets the plant’s cells working and a process is known as “photosynthesis” takes place helping cannabis build new cells and therefore grow larger. This is a very basic soil mix but will help you on your way to providing the basic nutrients cannabis requires for good growth. Place your soil mix into the hole you have dug and place your germinated seed with the taproot facing down. Surround the seedling with soil and give it a light water around the base of the stem after watering it. It can be difficult to know exactly what the water requirements of your plants are but good signs that water is needed is drooping leaves. If your leaves look dehydrated or drooping, this means your plant is under-watered. A good tip for watering is putting your index finger in the soil to your knuckle. The soil at your fingertip should be moist and not dry and hard. Be careful not to overwater as this could cause the roots of your plants to drown and not allow enough oxygen to reach the roots. The Durban Poison cannabis strain – Nice looking right! Vegetative state of cannabis can last anything from 2 weeks through to over 10 weeks when grown outdoors and usually the signs will be seen just before the change in seasons. 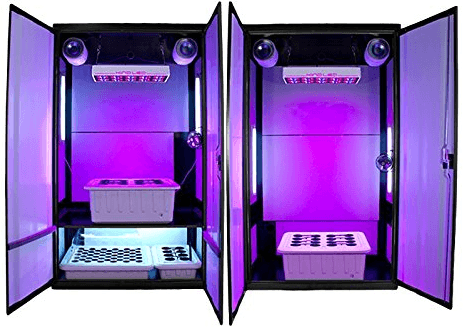 During this stage, you can manipulate your plant growth by topping or training your plants for their best growth. 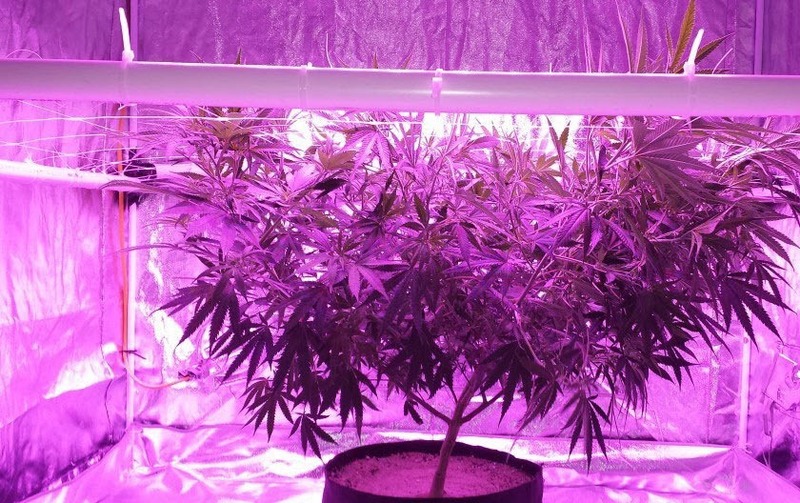 You may not want a cannabis bush over 10 ft tall, so you can easily top the plant and allow the side branching to increase. 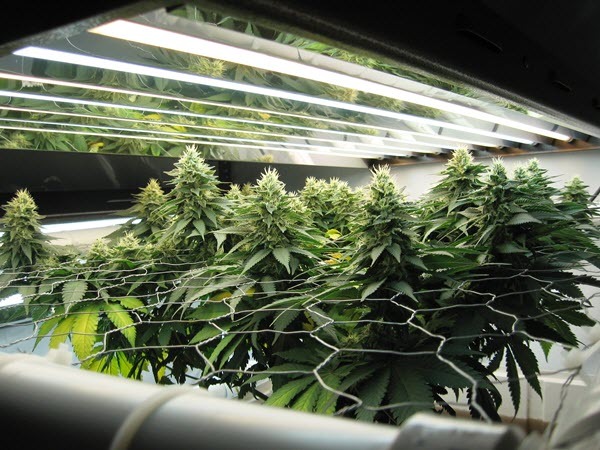 Cannabis cultivators also tie down the side branches and maximize the sunlight to flower nodes. It is also a good idea to prune the lower branches of the cannabis bush. A rough idea would be to prune everything below 1 foot. 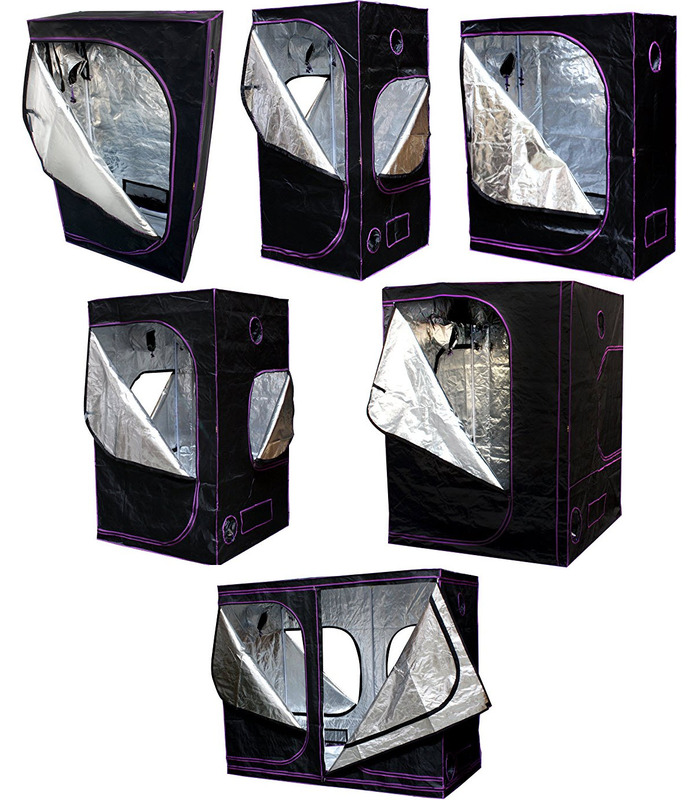 This allows good airflow under the canopy of the plant and also allows you to easily access the root system for daily watering. Ensuring the nitrogen is sufficient during this stage of growth is imperative for good plant growth. 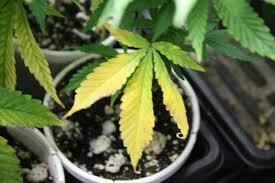 Some signs of too little nitrogen would be yellowing of leaves and stunted, sparse plant growth. A healthy plant will be a good green color and grow a few inches each week. Excellent plant growth would be lush foliage and growth of a few feet each week. Towards the end of the vegetative stage and close to autumn ( shorter days ), you should see pre-flowers. This is a sign for you to separate the males from the females. Females will have hair-like pistils growing the bud sites, while males will have sack growing from these sites. You want to remove the males as these will cause your female flowers to fertilize from the male pollen. You don’t want seeds in your flowers, do you! A cannabis in vegetative state looks like this…boring indeed. The last stage of growth is the flowering stage. Plants will start to flower fully during the shorter days, late autumn and early winter. 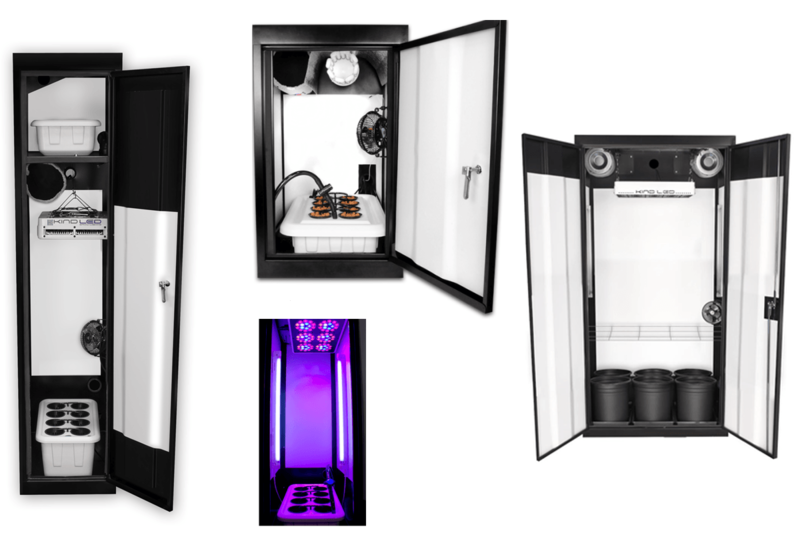 Cannabis kicks into flower mode automatically when there are less than 12 hours of sunlight during the day. So it’s a good gauge to know your seasons and the rising and setting of the sun. The flowering phase can take anything between 8 and 15 weeks to flower, depending on the genetics of your strain. The cannabis plant slows own on growing and invests most of its energy and resources into the flower growth. You will notice the internodes start getting smaller and the flower/ bud sites start filling out. Harvesting your cannabis is a personal decision, but the best time is when the trichomes on the flower are 70-90% is amber. Harvesting, drying and curing of your marijuana flowers is a very important process of ensuring your harvest has the best possible taste, smell and effects. Here is a quick recap of this outdoor growing guide specifically for the Purple Haze strain. Previous articleNorthern Lights strain review! 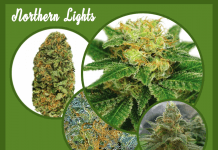 Learn all about Northern Lights weed! Next articlePineapple Express strain review! Learn all about Pineapple Express weed!